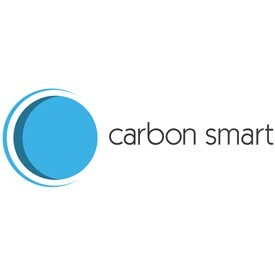 Carbon Smart, founded in 2007, is a well-established, independent sustainability consultancy working with private and public sector organisations globally on social and environmental issues. We recognise that each business has a unique sustainability challenge – to reduce its negative impact, increase its positive impact, and realise the commercial benefit of doing so. We work to find the clear, practical sustainability strategies that contribute to a better world and to the bottom line for each of our clients. To date we have relied on sending scrap plastics to China - it is more profitable to sell to Asia as they have less tight controls on what can be exported. However, the recent ban means that the UK must find other export markets for our plastic waste, but it is doubtful that we will easily find markets that will accept the same low-quality plastic waste. This will mean better sorting processes, more resources and other disposal options for poor quality waste such as incineration, which are already coming up to capacity to avoid landfilling plastics in the UK. How are governing bodies responding? Although we currently do not have a legislative framework to deal with the issue this could change very quickly. Theresa May published the government’s 25 year environmental plan: A Green Future and pledged to stop all avoidable plastics by 2042. The plan touches upon levies and packaging-free aisles. The commitment was welcomed but criticised for being too slow and vague. What Theresa May needs now is short-term plan to kickstart her pledge to phase out all avoidable plastics. A Green Future looks especially light-touch compared to the European Union's response. They put forward a plastic strategy which called for a more circular economy and have set a target to make all plastic packaging recyclable by 2030 and have pledged €100m (£89m) to finance innovation in this space. Plastics was also a key discussion point at the World Economic Forum in Davos in January a meeting of governments and industry leaders. The Ellen MacArthur Foundation awarded a total of $1m for innovative solutions to stop plastics becoming waste, whilst industry giants such as Coca-Cola pledged to recycle a bottle for every bottle they produce. These acts acknowledge that plastic pollution is a global problem and not just for the UK. What does this mean for plastics? Plastics are not going to disappear, but the way we think about, treat and use plastics will change throughout the entire lifecycle. Plastics have provided huge advances in human development in medicine, electronics, construction and many more. Plastics also provide many sustainability benefits such as preserving food helping us to avoid food waste, it is used as insulation reducing heating or lightweight automobile parts to reduce fuel consumption. Alone in Europe, the plastic sector employs 1.5 million people and generates a turnover of EUR 340 billion in 2015. Branded company products or packaging review: if you produce or sell plastic goods, your business should carry out a full cycle review of the product or packaging in use to understand the impacts and how they can be avoided or reduced. Read our story on plastic packaging alternatives for solutions on using sustainable packaging. 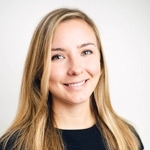 Operational review: identify and review any single-use plastics your business purchases and understand whether this can be avoided or reduced. Supply chain review: To get goods to you, single-use plastics will be used and entering your sites. Engage with your suppliers to understand how this can be avoided or minimised. Make a statement: we at Carbon Smart are on a journey to eliminate single-use plastic. Your business should set out on its own journey too. It may well take several years but clearly communicated intent is a great first step.